We’re very pleased to announce the release of our Issue #192. 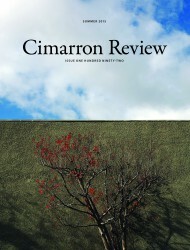 In addition to stunning cover photography from Catherine Roberts Leach, this issue features poetry by Jim Daniels, Grace Schulman, Danielle Jones-Pruett, Elisabeth Murawski, Felicia Zamora, and many others, as well as fiction by Anthony Varallo, Michael X. Wang, Bill Oliver, and Joseph Bathanti. Contributors: your copies went in last Friday’s mail. Subscribers: your copies went in today’s mail. Everyone else: subscribe online or buy a single copy today.